Yall this one was so cute! A sweet second chance romance that made me smile and made me cry as childhood friends found each other 23 years after they lost touch. The story was a little bittersweet since these two had pretty much loved each other since they were kids growing up in the slums of Ireland. Both fighting hard to make something of themselves and never reaching out. So much time lost! “You can’t wear that to go sledding,” he said. I loved watching them get to know each other again now that his career had brought him to the States. There were some heartbreaking moments as they remembered the past and some pretty sweet ones as well. Not to mention steamy! Yes, these two had amazing chemistry. The sparks and love between them after all those years just flew off the pages as they explored the city making new memories. He's 41 and she's 49. Silver haired. Love seeing that. He's a famous soccer player turned coach and she made her millions founding an international chocolate company. 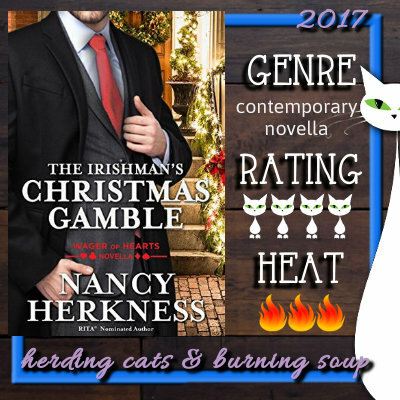 The Irishman's Christmas Gamble was a lovely little addition to the series. Having risen out of the slums of Dublin to build a multinational gourmet chocolate business, Frances “Frankie” Hogan has settled for being respected, envied, and rich beyond belief…but never happy. She has built a secure home within the walls of the exclusive Bellwether Club, a place she established for self-made billionaires like herself. She’s convinced that nothing can ruffle the calm of her well-ordered, though lonely, world—until her past, in the form of Liam Keller, shows up at her door. European soccer sensation Liam Keller has carried a torch for Frankie since their years together in their hard-scrabble Irish neighborhood. Frankie was the one who fed his dreams and pushed him to reach for the elite level of his sport, even as she kept him at arm’s length. Their ambitions launched them in different directions, but now Liam finds himself in New York as a coach to an up-and-coming professional American soccer team. Liam’s feelings for Frankie have never faded, but their years apart have brought complications, including a secret that could drive Frankie away. 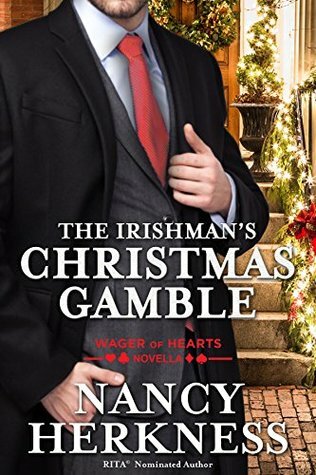 Only a Christmas miracle can help Liam convince the woman he adores to finally gamble on love.